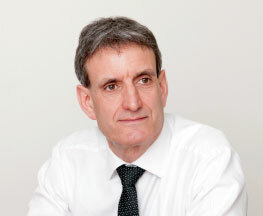 Dr Trevor Phillips is currently Executive Chairman at hVIVO, he was appointed in November 2017, having previously joined as a Non-Executive Director in June 2017. Trevor has over thirty years’ of experience within the pharmaceutical industry, including extensive international drug development and corporate development responsibilities. He was previously Chief Operations Officer and President of US Operations, as well as a member of the Board, at Vectura Group plc, a FTSE 250 company listed on the London Stock Exchange focused on respiratory diseases. Subsequent to joining Vectura in 2010, Trevor played an integral leadership role in the company’s successful development, including the acquisition of Activaero GmbH in 2014 and the merger with Skyepharma plc in 2016. Prior to joining Vectura, Trevor held the roles of Chief Executive Officer and Chief Operating Officer at Critical Therapeutics, Inc. (now Chiesi USA, Inc.), a US listed specialty pharmaceutical company. He has also held senior management positions at Sepracor, Inc. (now Sunovion Pharmaceuticals, Inc.), Accenture plc and GlaxoWellcome plc (now GlaxoSmithKline plc). Trevor trained as a microbiologist at University of Reading, obtaining a PhD in microbial biochemistry from the University of Wales in 1986. He was awarded an MBA from Henley Management College in 1997.